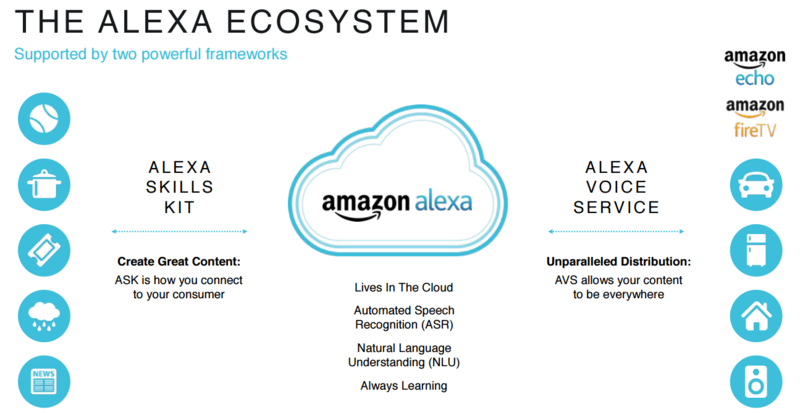 Just as Apps and the App Store massively grew the degree to which we use things like iphones in our everyday lives… Amazon is aiming too build a similar type of ecosystem around what it calls Alexa Skills. And that’s what I’ll be looking at today. Just like apps and smartphones, Alexa skills sit on top of the core functionality of the Amazon devices to offer customized user experiences. And right now there are companies and developers right around the world designing and building skills that you can add to your device to boost its functionality. The main areas of development right now seem to be things like petcare, podcasts, news, games, music reviews, health and fitness, sports info, movies and TV and travel… all of the usual suspects you’d find in an App store. Today I’m going to talk about one example of a voice driven technology that’s likely to apply an increasing role in our lives… that is Alexa Skills… and Amazon Devices… and the rapidly growing ecosystem of devices that link to it. The list of amazon devices is growing rapidly… covering voice devices… security cameras… HD video and audio connectors… bedside clocks… and even tools for educating kids. And you can easily link your Amazon Device to to things like your air conditioning and many other home automation systems. And newer devices like the echo spot even offer point to point video calling between users. Even with a basic amazon voice device you can easily link to many existing content sources… like Spotify for music… lots of different news sources… You can ask Alexa to check your calendar, weather, traffic, and sports scores, manage to-do and shopping lists, control your compatible smart lights, thermostats, garage doors, sprinklers, control your TV, request an Uber, order a pizza… and much more. On a medium term basis, the real kicker with Amazon skills will be the integration of these skills into amazon’s E Commerce system. For example… the current terms of trade the most brands will radically change when people start to use their Amazon (and other) devices to order daily purchases like milk coffee and bread. The important thing here will be to make sure that you have some sort of deal in place… or strategy… to deal with how Amazon will handle requests for category products… so… for example if I ask for a cola am I going to get Coke or Pepsi… if I ask for bread which brand am I going to get… if I ask as for light bulbs will I get Philips or another generic brand that Amazon make and sell themselves. Or what if I ask a banking… or finance… or accounting question? Or for a recommendation for a local plumber… dentist… real estate agent…or electrician… This will be the true gamechanger for all brands and service companies. Particularly with staple products or highly generic product lines or services. 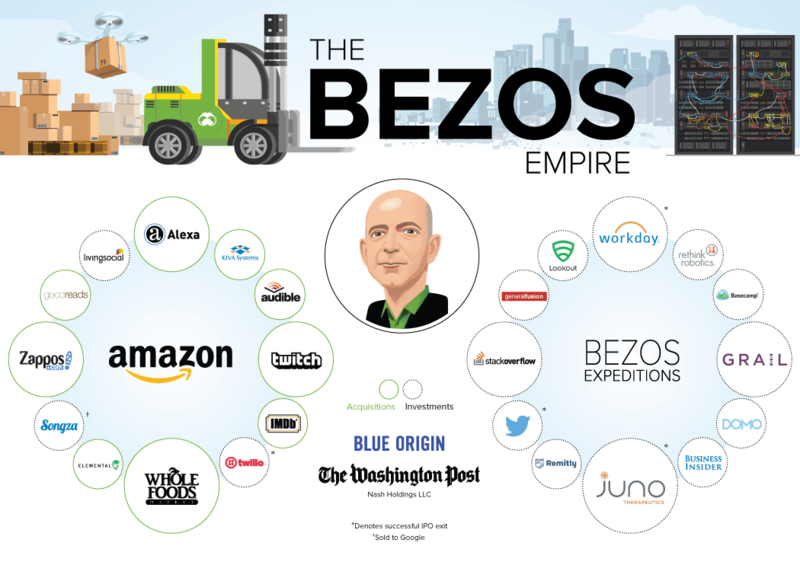 There are already many rumors around that ultimately Amazon will start to buy existing brands and bundle them into a portfolio of category products that they offer. So… for example… they could buy existing independent brands or retail groups like Levis… Reebok… Dyson… booking.com… etc. They have already gobbled up wholefoods as part of this market play. So, in summary… Alexa skills aren’t that different to the phone apps that we are all familiar with. Its early days so far… but all it will really take is a few killer apps to be born to really ignite a fire under alexa skills. Just as it did with phone apps with the rise of things like Facebook, Google Maps, Spotify and WhatsApp. So, If your business has the marketing bandwidth… it may be a worthwhile exercise to at least do a little bit of tinkering on the side with developing and Alexa skill. It will put you ahead of your competition… teach you some advanced skills on how brands will “sound” and work in the future voice-assisted world, and it should also give you an advantage as other companies like Apple, Google and Facebook really start to push into this space alongside Amazon too. Next Post WHAT DOES PROGRAMMATIC DIGITAL ADVERTISING MEAN?